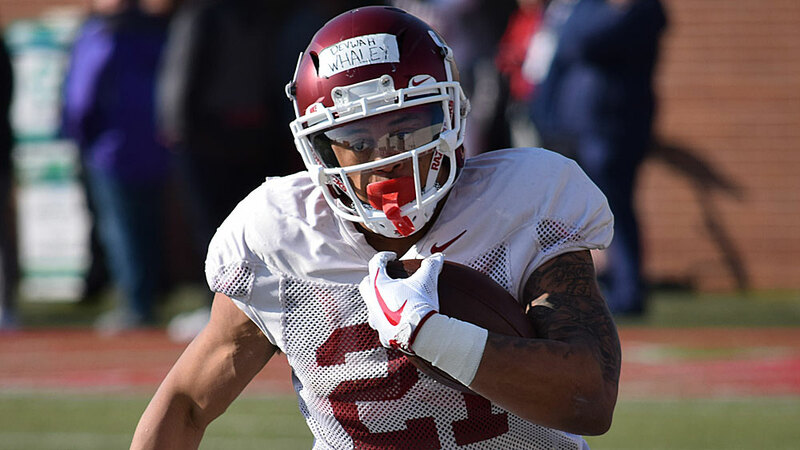 Devwah Whaley made his return to the lineup, but a strong offensive performance by the Arkansas Razorbacks wasn’t enough to recover from a late-game comeback by Ole Miss in War Memorial Stadium. Whaley had 12 carries for 73 yards with his longest run being 16 yards, he also hung onto 2 catches totaling 9 yards. But Whaley was injured again this time picking up an ankle injury. “We lost our composure, which is very disappointing, and injuries did not help with Whaley going out with an ankle injury, I think that Boyd was on pace to have another career night, Whaley as well,” concluded Morris.